Presence is influence. Presence opens doors. Presence is perpetuating. 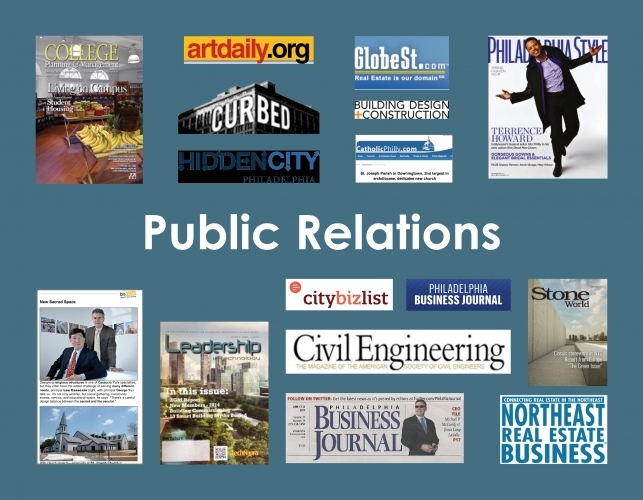 Effective PR has the power to generate new business, enhance reputation, and create industry influence. Smart PR requires research, planning, strategy, and time. AGW Communications has proven expertise developing programs that get architects and engineers media coverage and positive exposure. We help clients maximize what they already do to keep people talking. Public Relations Gallery . . . 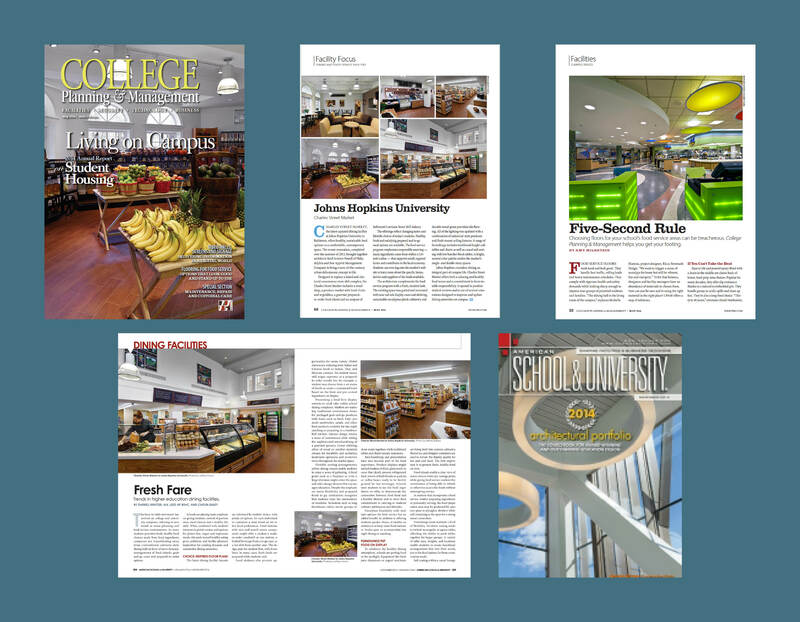 When BKP completed the Charles Street Market at Johns Hopkins University, AGW Communications helped promote the project, securing three feature articles, including a cover story and a secondary article in College Planning & Management and a feature in American School & University magazine. Promotion of k YODER design's renovation of an I.M. 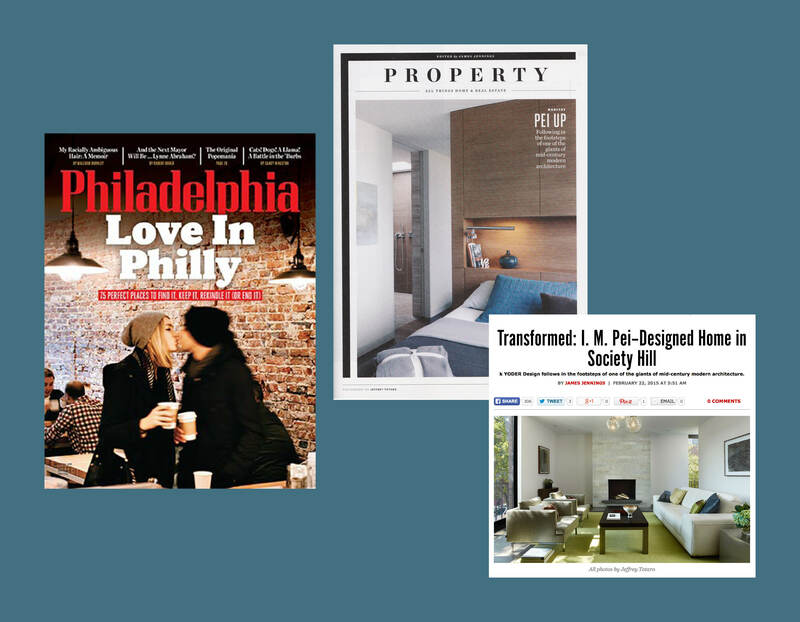 Pei town house in Society Hill earned coverage in both the print edition of Philadelphia magazine and on its Property blog. The editors continue to cite the project as an example of what they seek for high quality residential features. When TFAB Group officially launched in 2015, AGW Communications was charged with sharing the new company announcement. 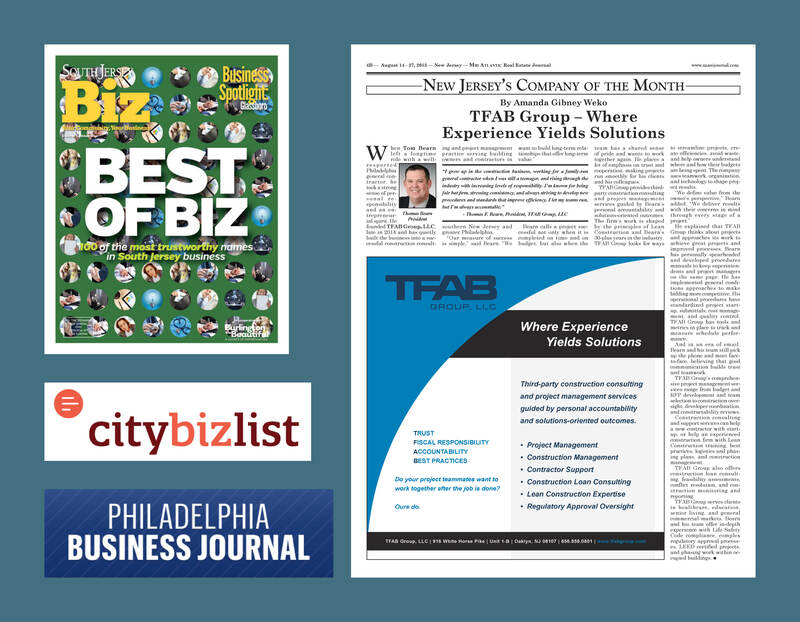 Coverage included a full-page feature in Mid Atlantic Real Estate Journal, a Q&A opportunity in South Jersey Biz, and coverage on Philadelphia Citybizlist and in the Philadelphia Business Journal. Staff awards can be a terrific component of a successful PR program. 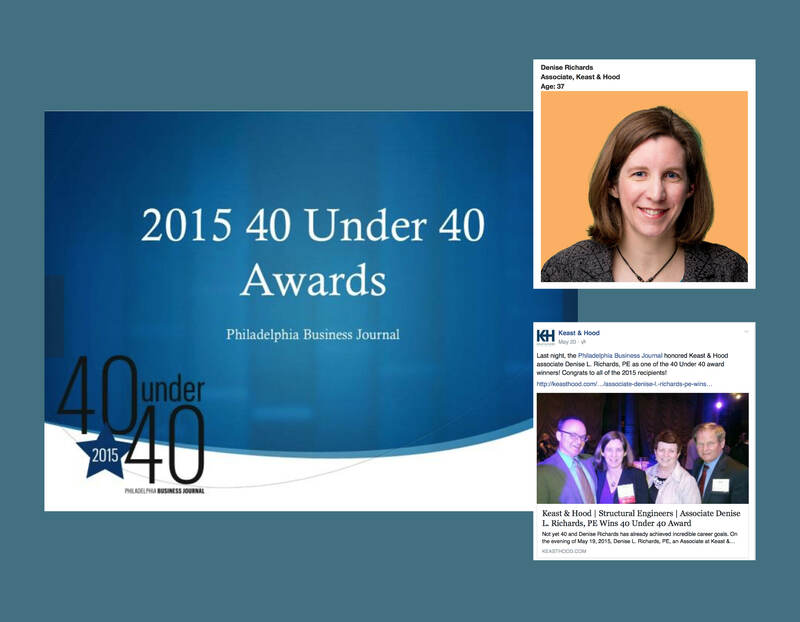 In 2015, Amanda Gibney Weko wrote the nomination for Keast & Hood Associate Denise Richards, PE, earning her recognition as a Philadelphia Business Journal 40 Under 40 Winner. 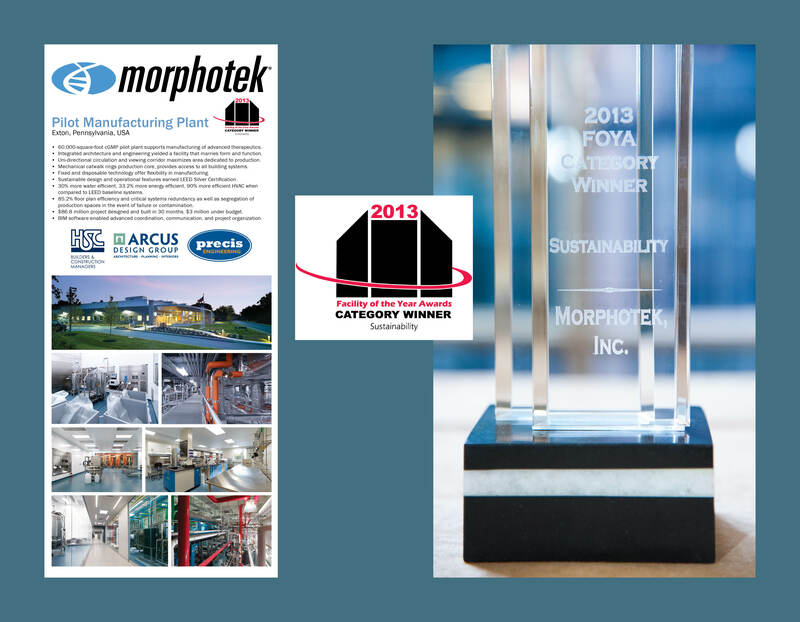 In 2013, AGW Communications collaborated with Precis Engineering, Arcus Design Group, HSC Builders & Construction Managers, and Morphotek to write, graphically produce, and submit an entry in the International Society for Pharmaceutical Engineering's Facility of the Year Awards. The project was recognized as the Sustainability Category Winner. 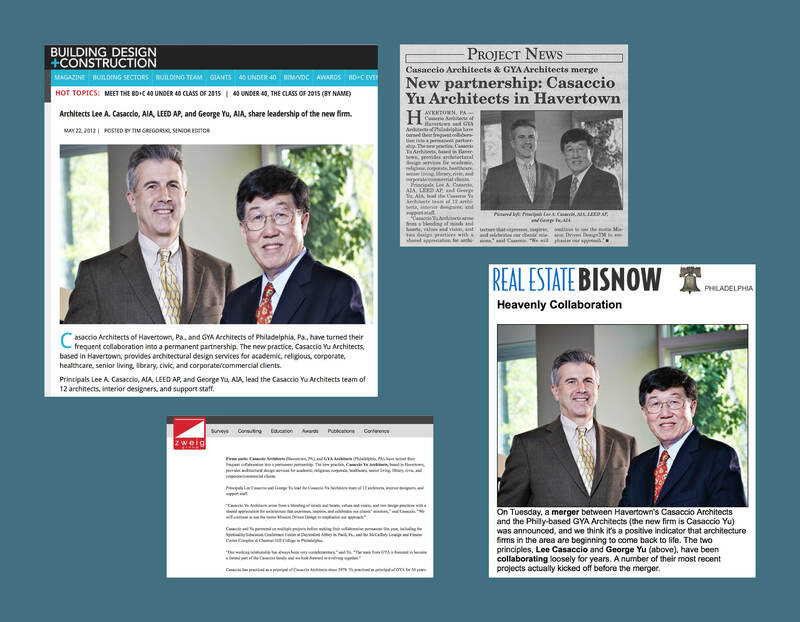 When Lee Casaccio and George Yu merged their respective architectural practices in 2012 to form Casaccio Yu Architects, AGW Communications shared the news, garnering coverage in Building Design + Construction, the Zweig news, Mid Atlantic Real Estate Journal, and Real Estate Bisnow Philadelphia. AGW Communications pitched, placed, and assisted with copyediting for an article about building commissioning written by a Precis Engineering staff member. 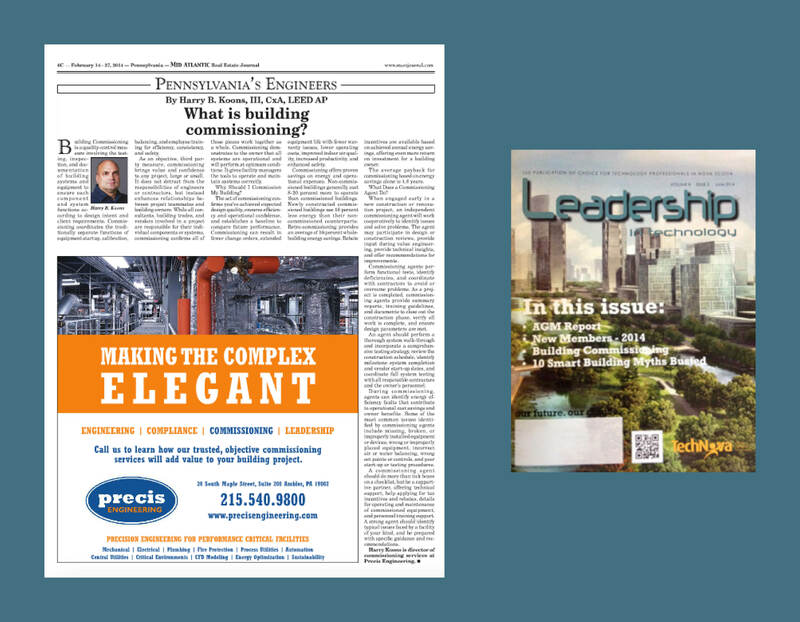 The initial coverage in Mid Atlantic Real Estate Journal led to a feature article in Nova Scotia engineering journal, Leadership in Technology, giving the firm and its commissioning expertise international exposure. 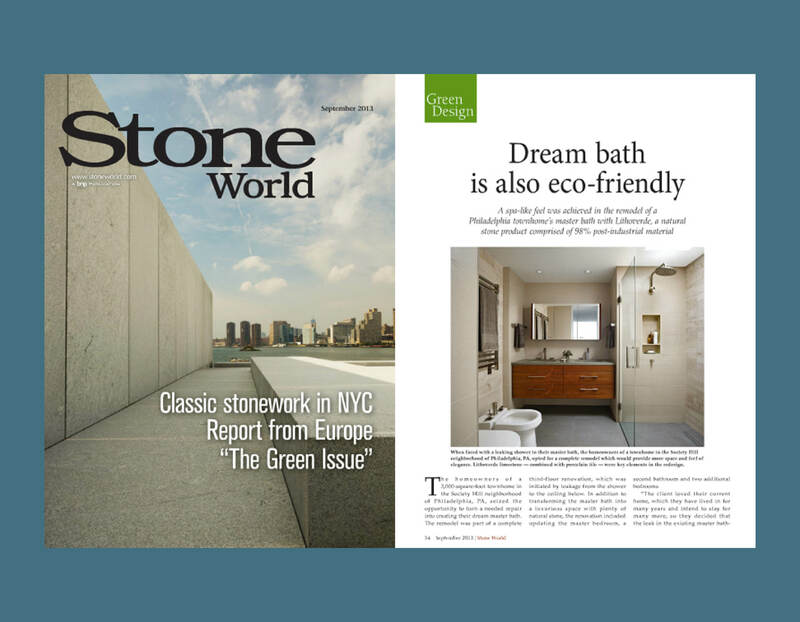 AGW Communications pitched and coordinated a feature article in Stone World magazine that highlights the use of Lithoverde, a natural recycled stone product. 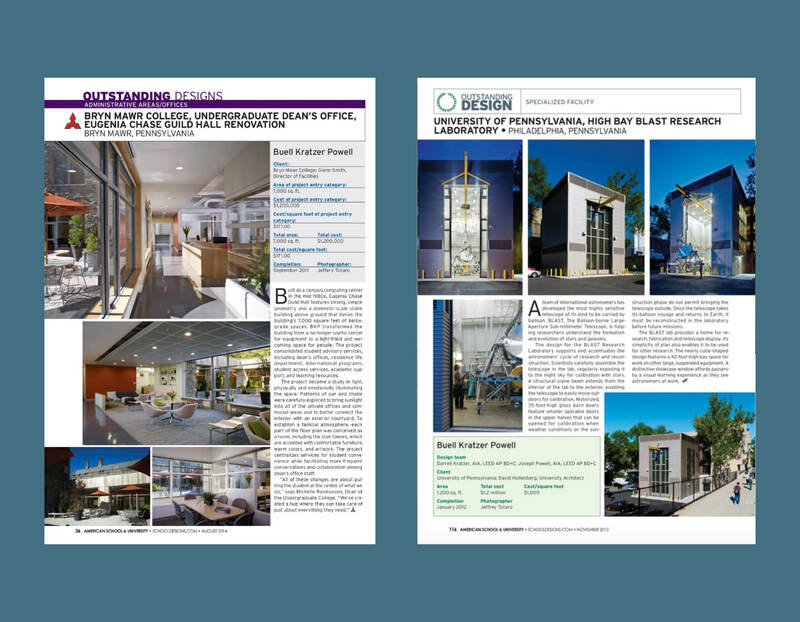 The article showcased k YODER design's attention to sustainability and refined modern aesthetics in the featured project. AGW Communications has produced four award-winning project submissions in three years for BKP, earning Outstanding Design recognition in American School & University magazine's Educational Interiors and Architectural Showcases. Winning entries have included the Bryn Mawr College Undergraduate Dean's Office, University of Pennsylvania High Bay BLAST Research Laboratory, University of Pennsylvania Class of 1920 Commons Dining, and Bryn Mawr College Bern Schwartz Gymnasium. 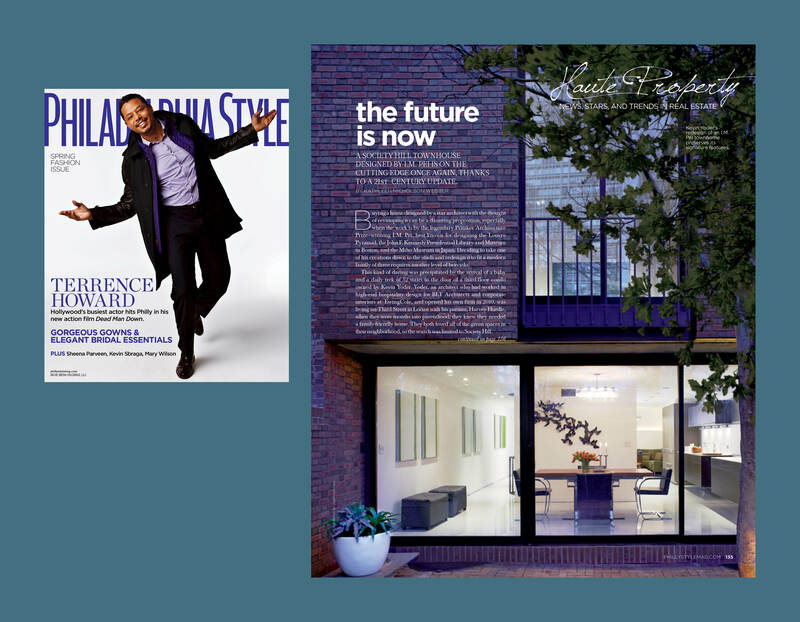 AGW Communications pitched and coordinated a feature article for k YODER design in the Spring 2013 issue of Philadelphia STYLE.